Waiting on Wednesday is a weekly meme created by Jill at Breaking the Spine to highlight upcoming book releases we are excited about. I love the cover of this one! You can click it to add the book on goodreads. The summary sounds kinda like Anna Dressed in Blood, only that the girl is a vampire instead of a ghost. I don't know if this is a good or a bad thing. I think the book will be quite different though; Loki doesn't sound like he has that much in common with Cas the ghost hunter. I love the idea of Loki being able to kill demons in their sleep! And I'm also curious to find out how the author works the Snow White retelling and Evil Queen into this plot. I"m a new GFC follower. Stop by and follow back? I so judge a book by it's cover! I love the cover. The covers are so pretty. I like re-tellings of Fairy tales. This one sounds great. I might give it a try when it comes out. Great pick! Thanks for sharing! Gahh, I love this cover.. I can't wait for it to come out either! This one sounds really good, it's definitely going on my wishlist, thanks for stopping by! This one is new to me. I agree that cover is absolutely stunning. I'm all about dark fairytale retellings lately, so this looks right up my alley. Great pick! I haven't heard anything about this one, and it sounds great! I've really enjoyed a lot of fairy tale retellings. I'm a new follower. I'm also dying to read this one. It looks intriguing. Thanks for stopping by my blog and good luck with your reading ban. I'm currently on one too and it stinks. 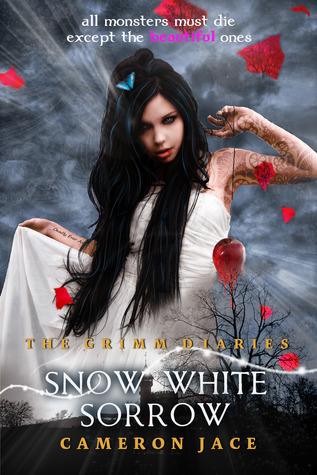 I'm really loving this new trend of rewritten fairy tales in YA!!! Great pick. Thanks for stopping by my WOW on YA Sisterhood.